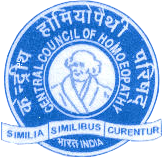 Homoeopathy University(Recognized by UGC u/s 2(f) of UGC Act 1956) is established by Dr. M.P.K.Homoeopathic Medical College, Hospital & Research Centre Society, Jaipur. The Ordinance of University has been approved by His Excellency Governor of Rajasthan vide their Ordinance No.5 of 2009 on 13-10-2009. The bill of University has been raised in state assembly by the Government and legally accepted through the legislature on 3rd April 2010. Homoeopathy University is located in the vicinity of Jaipur at Saipura, Sanganer on a sprawling piece of landscaped earth, furnished with latest instruments and top line facilities. Homoeopathy University has emerged as a Centre of Excellence in Homoeopathic education & research where learning is ongoing process and knowledge is exhaustive. The methodology of education in Homoeopathy University is a tasteful blend of ethics and grooming involves optimum usage of resources to be globally responsive and utilitarian. One of the prime ideas of University is to foster a supportive and vibrant learning environment where faculty, students and professionals cherish a mutual commitment to research and public service .We invite you to access the following resources to explore Homoeopathy university rich history.